GCA garden centres across the country report that the following plants are on their top-selling hit parade in autumn. You can’t afford to miss out! Aloe hybrid ‘porcupine’ – a compact aloe with striking bi-coloured flowers in deep rose pink and greenish cream shades, peaking in autumn. Perfect for hot rock gardens or pots. 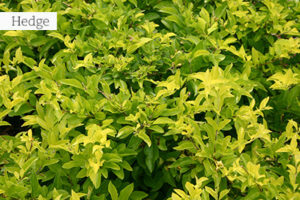 Abelia x grandiflora ‘Kaleidoscope’ – a compact hybrid of an old favourite with bright variegated foliage. Perfect for low hedging. 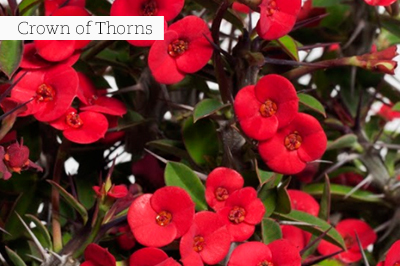 Crown of Thorns (Euphorbia milii) – spiny succulent with sparse leaves and bright flower bracts. Available in a variety of different colours. Drought tolerant, and perfect for pots too. Angel wings (Gaura ‘Rosy Jane’) – a desirable perennial with delicate, two-tone pink and white flowers. A new form of an old gardening favourite! Horseshoe pelargonium (Pelargonium zonale) – the indigenous specie grows into a wild woody shrub, flowering in pink all the time. Modern hybrids will shower you with colour in every shade. Great for beds, window boxes, and pots. Ribbon bush (Hypoestes aristata) – masses of attractive lilac pink flowers on an indigenous shrub which likes to grow in the dry shade of trees. Everlasting (Syncarpha argentea) – silvery foliage on a dainty plant, supporting small, paper-like flowers in soft pink and white. Perfect for pots too. Hairawn muhly (Muhlenbergia capillaris) – grass with spectacular and billowing inflorescences of masses of vibrant pink, airy flowers on tall stems. This grass tolerates poorly drained soil but also drought conditions. Perfect for meadow planting. If we don’t make time to teach the young folk to love gardening, who is going to plant trees, flowers, fruit and vegetables one day. Will it be drones? Kids love to dig, play in the mud and create little imaginary gardens in the soil with sticks, stones, leaves and friendly flower faces (like daisies and hibiscus) which they are allowed to pick from the garden. This Easter, get them to help you dig, plant, sow and get involved. A sandpit filled with all kinds of plastic toys is of course an option, but they will have much more fun if allowed to get really dirty and muddy in ordinary garden soil, close to where you are digging and planting yourself. Remember kids love to ‘help’ you in the garden, but soon do their own thing. Wish list stuff: Kid-sized gardening tools, small wheelbarrows, bright watering cans and pint-sized garden focal points, hobbit houses and even dainty little artificial plants to build fairy gardens. Big GCA garden centres stock a wide range of kiddie’s tools and ornaments for miniature landscaped gardens. Define your space and create boundaries with a living hedge. The advantage of such a large planting project now, is that cooler soil gives young hedge plants a chance to settle in well and cooler weather will allow you to spend the time needed to dig the trench needed to plant them in. Digging a trench goes a long way to help you to plant a straight hedge. Dig to about 60cm deep and enrich the excavated soil with compost, kraal manure and bonemeal or superphosphate before filling it back. You will then find it easy to make small planting holes, fitting the root ball of young nursery plants. Trending now is hedge plants with a dual purpose – defining space and supplying you with edibles. Choices include quinces, pomegranates and the indigenous and water wise big num-num (Carissa macrocarpa). Two of the most important requirements for growing citrus are full sun, and soil which drains well. If there is doubt about the latter – like heavy clay soil – it is a better idea to plant citrus trees in a raised bed to which commercial potting soil and coarse compost have been added, or in a large pot filled with quality potting soil. Always plant a young citrus tree on the same level as grown in its nursery bag – never deeper or shallower. Prepare the planting hole well with lots of compost and a large handful of bonemeal. Feeding young trees which must still establish, is not a critical thing in the first year or two, but older trees are gross feeders. To ensure a great harvest of fruit, you have to fertilise at least four times per year – in July, September, January and April – use a balanced granular fertiliser. Citrus trees growing in pots need additional and regular feeding with a liquid fertiliser. 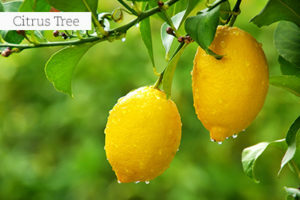 Citrus trees are not water guzzlers and deep watering once a week now, and every two weeks in winter, is ample for established trees. Young trees and those growing in containers will need a bit more water, depending on weather conditions. Potted trees can be allowed to dry out a bit before watering, but should not remain dry for prolonged periods. Ensure you water citrus trees well when in blossom, and the fruit starts forming. 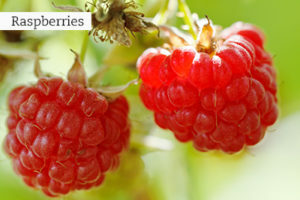 Reduce watering when the fruit starts swelling and changing colour. A little drought stress at this stage betters the sugar quality and juiciness of the fruit. From the weirdest looking corms and dried out little bulbs, will burst forth the most beautiful spring flowers on earth, and for very little effort too! Because spring-flowering bulbs need to be cool, don’t plant them next to hard landscaping like driveways or paved pathways. Avoid north-facing walls and if planted in containers, keep them in morning sun and afternoon shade. Plant all spring-flowering bulbs with the pointed side up (except anemones, which should be planted with the pointed side down). Bulbs with fingers or claws, like ranunculi, should be planted with the fingers pointing downwards. Small bulbs like anemone, leucojum, muscari, lachenalia, tritonia and ranunculus should be planted 5cm deep, and larger ones like hyacinth, freesia, and Dutch iris should be planted 10cm deep. Use a dibber (a tool to make holes in the soil) or bulb planter to do the job. Keeping the soil moist at root level is the most important aspect of growing bulbs. Soak the soil to a depth of about 15cm every four to five days. 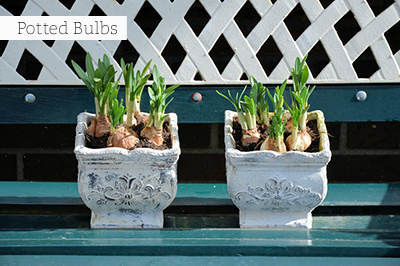 Potted bulbs will need more regular watering – even every day if dry. Never allow the base of the pots to stand in water. Remember to: Toss some waterblommetjie bulbs into your pond – they will grow well in water between 10-60cm deep, and will soon settle into the mud sediment at the bottom of the pond, giving you a tasty flower harvest in late winter and spring. Too little space and too much shade? Interplant winter veggies in the flower garden. Try red-leaf lettuce, Swiss chard ‘Bright Lights’, beetroot, oriental greens and kale. More pretty leaves to plant are flowering kale – one of the showiest foliage annuals around! You can buy garlic bulb sets from nurseries. Pick a sunny spot with well-draining soil and plant the cloves about 15cm apart in drills of about 7cm deep. The clove’s noses should just be covered with a thin layer of soil. Water regularly. 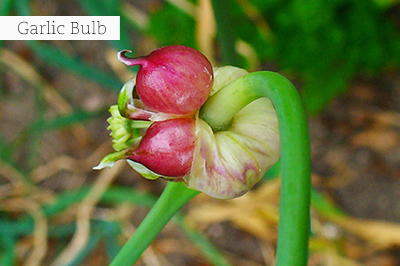 You can also plant garlic in containers. As roses are deciduous, their bottom leaves will soon turn brown and start dropping off. Planting cool-season annuals in front of them will screen the bare stems at the base of the bush. Choose sun lovers like alyssum, calendulas, dwarf snapdragons, lobelias, Namaqualand daisies, phlox and pansies. Click here for tips on rose care! Young fruit trees, especially deciduous types like peaches, plums, nectarines and apricots, can be planted this month. Once raspberries have finished fruiting, prune the old canes back. Keep your gardenias well-watered now. Although they flower mostly in summer, they still form new buds until late autumn, which mature on the plant and will open as soon as temperatures rise again. If they experience a lack of water in this phase, the buds fail to open and fall off. Now is the ideal time to move trees and shrubs to different spaces in your garden, if you wish. As the heat is over, plants will have a better chance to establish themselves again in a new area. 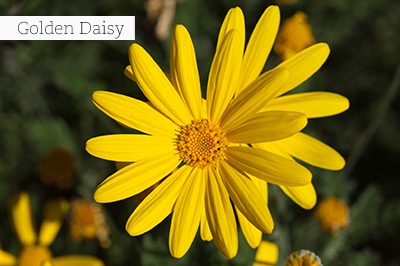 Plant the full range of osteospermums, arctotis and diascias for instant colour – they bloom now and love the cooler weather. Italian cypress aphids are active in the cooler months; keep on spraying conifers against them. Use fallen leaves as a mulch for woodland plants like azaleas and rhododendrons. Prune evergreen hedges – also clean them out at the base, as it can become a hiding and overwintering place for many unwelcome objects and critters. Clear away fallen leaves and rotten fruit under fruit trees. It will prevent rose beetles and fruit fly from breeding and overwintering there. You can also dig around the base of the trees and lay down a fresh layer of organic mulch. Fynbos like ericas, acmadenias and buchus (Agathosma) are easy to grow and lots of species flower in April. As their root systems are very fine, they should never be allowed to dry out completely if grown in containers or newly planted in the garden, until well established. Feed sweet peas once a month with a fertiliser high in potassium. Remember to feed other winter and spring-flowering annuals regularly too. Start potting up herbs for winter use and place them in a sunny spot close to the back door. Turn the compost heap over and check for larvae and pupae of fruit fly and rose beetle. Plant out seedlings of larkspurs, delphiniums and foxgloves into well prepared beds. They enjoy deep, rich and well-drained soil in a sunny to lightly shaded spot. Tall bi-annuals like these will need staking and this is best done when planting them out. Never water these plants from the top – wet foliage can encourage disease. Rather soak the soil at the base of the plants. They are all gross feeders – fertilise them every two weeks with a soluble fertiliser, or once a month with 3:1:5. Clean out hanging baskets and plant them up with pelargoniums and cascading petunias.